Home :: Does Your Lock Make the Grade? Style and finish matters when purchasing a lock for your home or business, but it doesn't aid in protecting your valuables from intruders. The best defense is a high grade lock suitable to the environment. 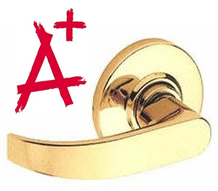 Standard grades 1, 2 and 3 have been developed by the American National Standards Institute (ANSI) and the Building Hardware Manufacturers Associations (BHMA). The grades relate to their construction, durability and strength. Grade 1 being the highest in quality, grade 3 the least. Durability is measured in "cycles". Cycles are defined as the number of times a lock can be locked and unlock and can still perform normal operation. A Grade 1 lock is rated at 800,000 cycles, Grade 2 for 400,000 cycles and Grade 3 for 200,000. Strength is equally as important and is measured by pounds of force per square inch. Grade 1 locks can withstand 300lbs of force for a knob and 700lbs per square inch for levers. Grade 2 can withstand 150 pounds for knobs and 450 for levers. Grade 3 withstands 120 pounds for knobs and 225 pounds for levers. When choosing a lock, consider the environment, usage and need for protection. For commercial use in public buildings, schools, and stores, etc., where both protection and durability is a must, Grade 1 is recommended. Grade 1 offers the best protection from vandalism, break-ins and the ability to stand up to heavy use. Grade 2 is adequate for light commercial or residential use due to its ability to stand up to more than average traffic, but it offers less protection from invasions. Grade 3 locks are ideal for interior applications in your home or office, but should never be used on exterior doors as a line of defense. Security Product Depot offers a wide selection of commercial and residential locks, with varying styles and multiple finishes to suit your needs and taste. 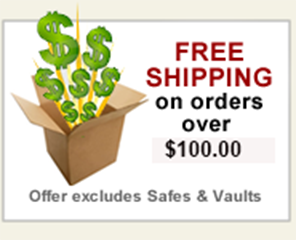 If you have any questions, our skilled professionals we'll be glad to help  1-855-362-9090.